The Nicolas-Riou wind farm community project is a partnership between EDF EN Canada, Régie intermunicipale de l’énergie du Bas-Saint-Laurent, a company wholly owned by all of the RCMs of the Bas-Saint-Laurent as well as the Viger Maliceet First Nation and Régie intermunicipale de l’énergie Gaspésie-Îles-de-la-Madeleine, composed by the RCMs of this region and Îles-de-la-Madeleine conglomeration. This wind project is 50-percent owned by EDF EN Canada; 33,33-percent by RIEBSL and 16,67-percent by RIEGÎM. Located in the Bas-Saint-Laurent region, on the private and public lands of TNO Boisbouscache and the municipalities of Sainte-Françoise, Saint-Mathieu-de-Rioux, Saint-Médard (RCM Basques) and Saint-Eugene-de-Ladrière (RCM of Rimouski-Neigette), this 224.25 MW wind farm, will be comprised of 65 Vestas V117 wind turbine generators. Nicolas-Riou will represents an investment of approximately $ 500 million dollars. In addition the project will also contribute an annual payment of more than $1.1 million dollars to the RCMs of Basques and Rimouski-Neigette for expected life time of the project (25 Years). 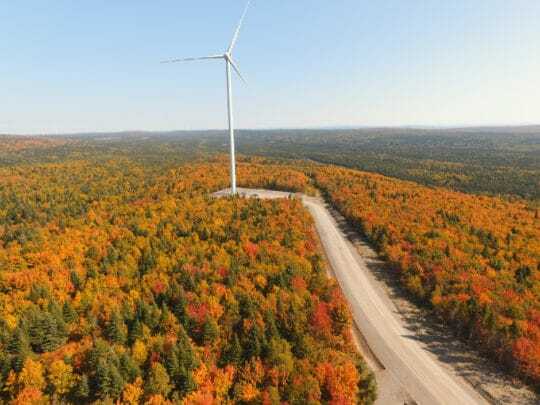 Nicolas-Riou is one of eight wind projects awarded to EDF EN Canada through Hydro-Québec Distribution call for tenders in 2008, 2010 and 2013. 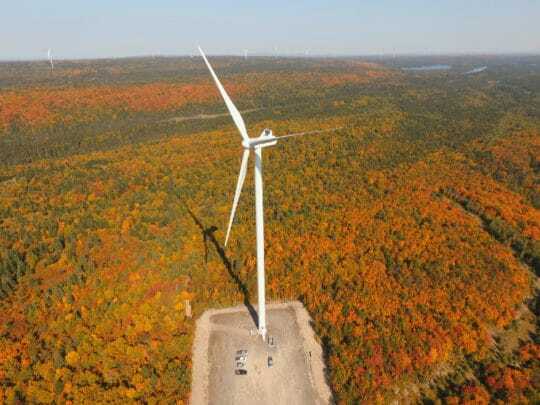 It also represents the fifth project held in partnership with a RCM; the other four being La Mitis (24.6 MW), Le Granit (24.6 MW), Lac Alfred (300 MW) and Rivière du Moulin (350 MW).